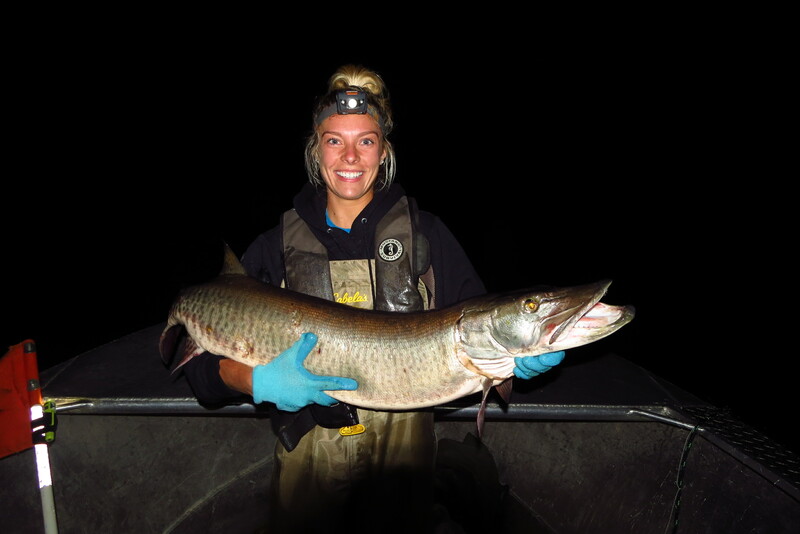 A muskellunge captured and returned during one of the population assessments Mille Lacs area fisheries staff regularly condudct on Mille Lacs Lake. Anglers who fish in Minnesota's second-largest lake benefit from the management, habitat and oversight work of the Minnesota Department of Natural Resources' Mille Lacs Lake area fisheries staff. Area Fisheries Supervisor Tom Heinrich and his staff of three full-time employees manage this 132,516-acre lake in north-central Minnesota that covers 207 square miles and offers 80 miles of shoreline in parts of three counties – Mille Lacs, Aitkin and Crow Wing. Even with biological changes that have reduced walleye productivity, Mille Lacs Lake still offers excellent walleye fishing. The lake also is renowned for its world-class smallmouth bass and muskellunge fisheries. What's happening on Mille Lacs? Visit the Mille Lacs Lake page for detailed information about what's happening just 100 miles north of the Twin Cities at this world-class fishery or view the current fishing regulations. Conduct annual sampling that allows us to monitor trends in abundance, mortality, growth, and the age structure of the walleye population. This annual sampling also provides inputs to a model used to estimate safe harvest levels for walleye. Periodically conduct population estimates on the walleye population. These estimates are used to “ground truth” outputs from the walleye model. Periodically sample the smallmouth bass, northern pike and muskellunge populations to monitor trends in their size structure. Monitor the abundance of spiny waterfleas and zebra mussels so that their impact on the populations can be evaluated. This information can then be used to predict fish population changes on other lakes as they become invaded. Coordinate management activities on Mille Lacs Lake with the 1837 Treaty bands. 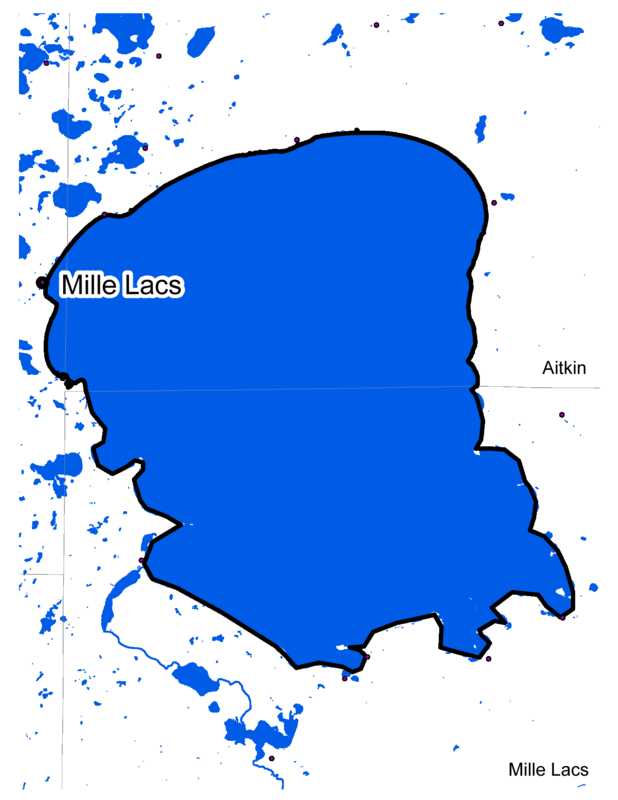 Work with the Mille Lacs Fisheries Advisory Committee to develop management options for the lake.